What is Google Penguin and What Should You do About it? Home Blogging What is Google Penguin and What Should You do About it? Google Penguin update is here. Google regularly does what seems to turn the world of internet marketing upside down. They continually shake things up, not in an effort to hurt businesses trying to make a living but rather to help the searchers who want to use Google to find what they need. The Google Penguin update is another update in a long list of them that is about Google trying to help you, the consumer or the information seeker, find what you want to find. Google’s search engine algorithms measure web pages on a continuous basis to help them determine how to rank those pages. As people become wise to the methods, they often try to use that information to their advantage. Google continuously tweaking those methods is an effort to help the cream continually rise to the top of the rankings. Google knows that if people find web spam at the top of the rankings on a continual basis, that people will eventually look to another search engine to help them find what they need. Also Read : Google’s New Penguin Algorithm Update : What’s New ? Other factors could also have come into play. People have not-so-affectionately called it a slap when there is a major update because their site often gets slapped down a few (or many) notches. If your site has lost rankings, you may be wondering what to do about it. 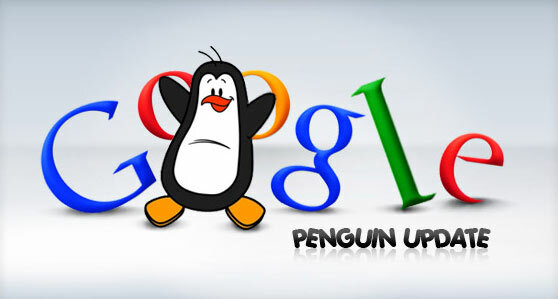 How to Recover from Google Penguin Update ? Look at traffic reports for before and after the penguin update. This can help you see where you’ve lost ground. Analyze each page of your website, particularly pages that seem to have dropped in the rankings. Are there any obvious clues as to why? Make sure the page isn’t too keyword dense. Consider tweaking the language and don’t always use the same anchor text phrasing. Be sure that pages have enough content on them. It’s wise to have at least 250 words of content for pages to show that they contain useful info. Strive to diversify your internet marketing efforts. Don’t rely on keyword article based search engine optimization alone. Add in some other internet marketing methods, too. Options can include email marketing, social media, paid search advertising, and other methods, too. And don’t top trying to build relationships with new connections via offline marketing methods, too. This isn’t the first major update and certainly won’t be the last. Your best approach is to try to make every page of your site as useful for users as possible.